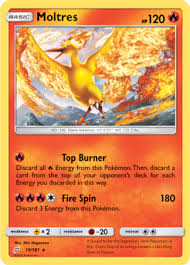 So, typhlosion turns all of your basic energy into fire energy, and moltres says to discard all basic Fire energy to mill. 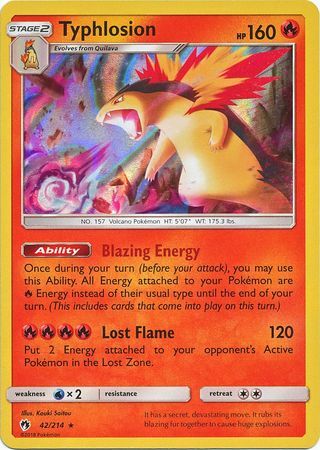 Would energy transformed by Typhlosion be counted as basic fire energy? It should. Also, I am curious what you are using to accelerate energy to Moltres. Have you had a problem with it not working? So I was running a 3-3 line of FBL Magnezone, and a 1-1-1 line of typhlosion. The premise was to volkner rare candy + energy, get 1 magnazone, and 1 typhlosion, and accelerate to moltres. Or run ULP magnezone and use mt. Coronet + Energy retrieval. If there was faster fire support that isn’t Kia we, it would be perfect. Or I could just do a different form of mill.